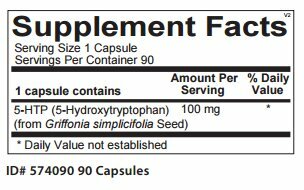 This 5-HTP supplement by IPM is the precursor to serotonin, our 5-HTP is extracted naturally from the seed of Griffonia simplicifolia. 5-HTP has been shown to be effective in people with mood disorders, restless sleep, and anxiety. Natural vegetable capsules. 100mg per capsule. 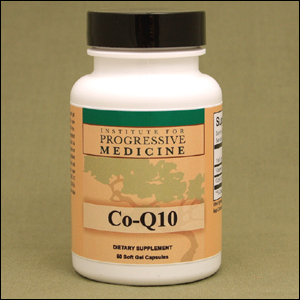 This 5-HTP supplement by Institute for Progressive Medicine is extracted naturally from the seed of Griffonia simplicifolia. 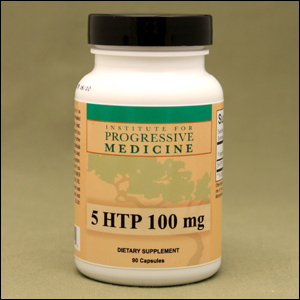 5-HTP has been shown to be effective in people with mood disorders, restless sleep, and anxiety. Natural vegetable capsules. 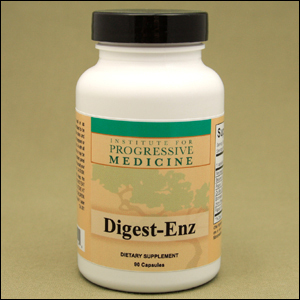 Usual dose is 1 capsule per day, or as directed by your physician. 100mg per capsule.